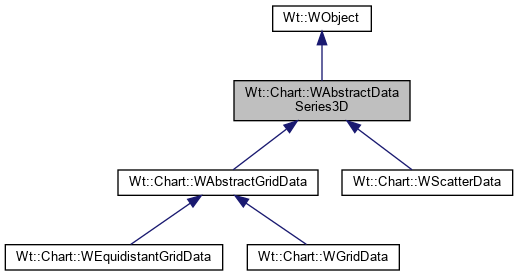 The model that is provided at construction or with setModel() contains the data of a dataseries. Implementations of this class format the data for representation on the chart and perform all necessary drawing operations. Note that if a dataseries holds numerical data it should be added to a chart of type ScatterPlot, if it holds categorical data it should be added to a chart of type CategoryChart. If the colormap has no parent yet, then ownership is transferred to this WAbstractDataSeries3D, and thus the validator will be deleted together with the WAbstractDataSeries3D. The default side is Right. Note: only Left and Right are valid values for this function.